Following the recommendation in Sir Robin Auld’s Commission of Inquiry 2008-2009, the Special Investigation and Prosecution Team (SIPT) was set up to look into allegations of corruption at the highest levels of Government in the Turks and Caicos. Ms Helen Garlick was appointed as the Special Prosecutor and she leads a team of Investigators and Lawyers which is charged with the responsibility of undertaking an independent criminal investigation. 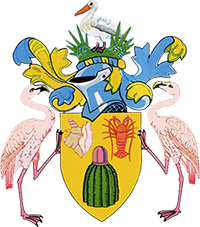 The team was set up in March 2010 and is based in Providenciales, Turks and Caicos Islands. As a result of this investigation a number of individuals have been charged and the trial commenced on 8th December , 2015 at the Supreme Court in Providenciales, Turks and Caicos Islands.